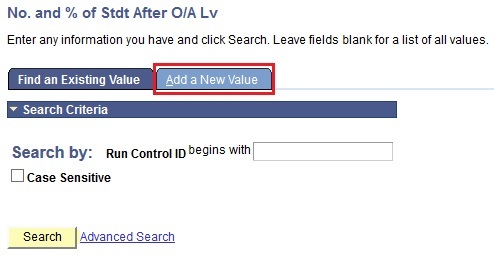 User will be directed to the No. 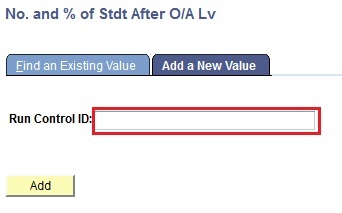 and % of Stdt After O/A Lv search page. 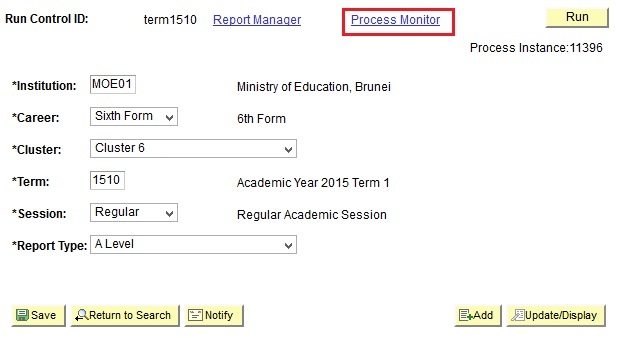 Enter the Institution as ‘MOE01’. 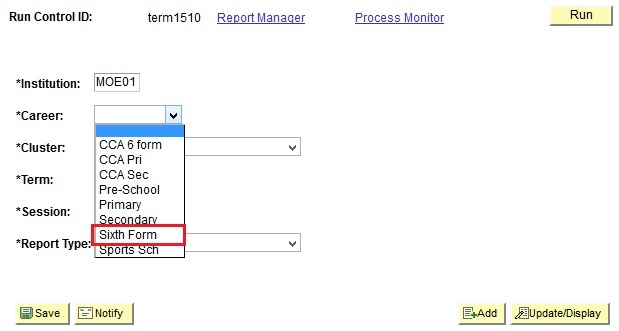 Click on drop down menu and select Career as 'Sixth Form'. 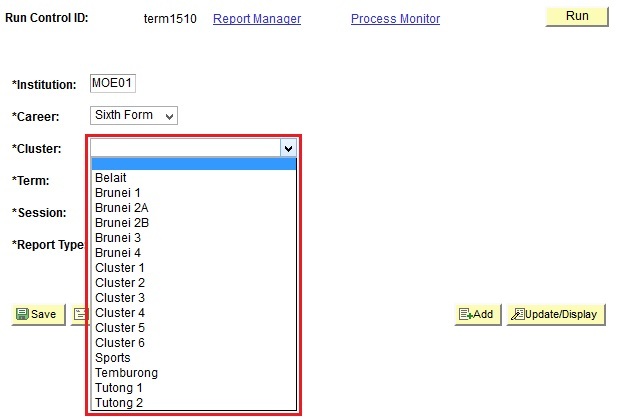 Click on drop down menu and select Cluster. 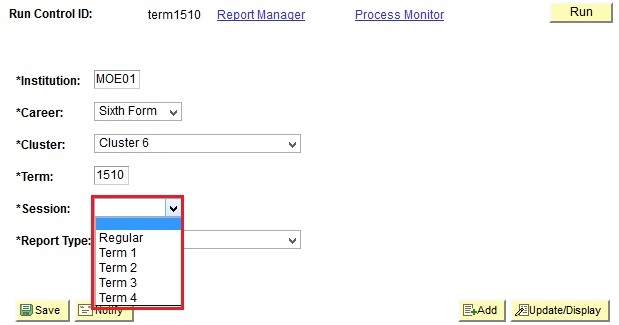 Enter the Term in which user wants to run the report. 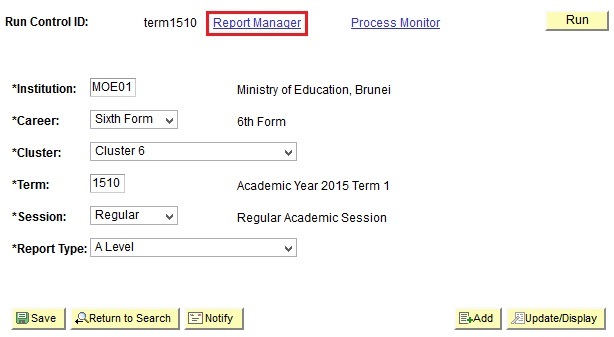 Click on drop down menu and select Report Type as ‘A Level’. 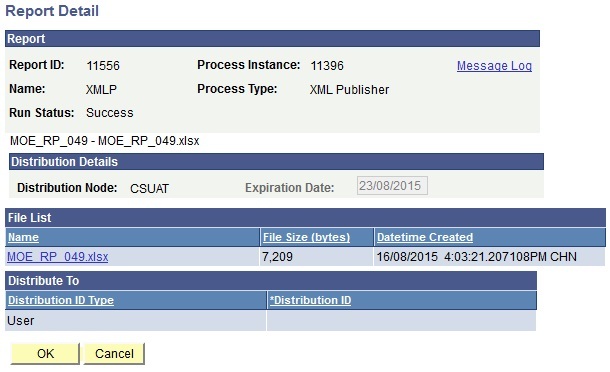 Ensure the process name MOE_RP_048 in Process Scheduler Request page is checked. 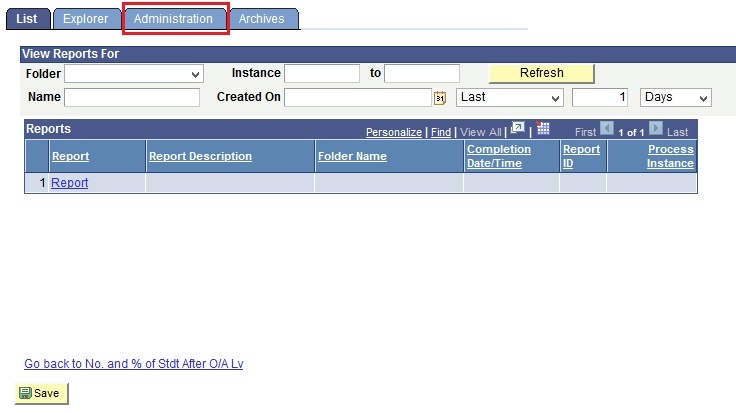 User will be directed to Process List page and should be able to see that “Run Status: Queued and Distribution Status: N/A” for the process name MOE_RP_048. 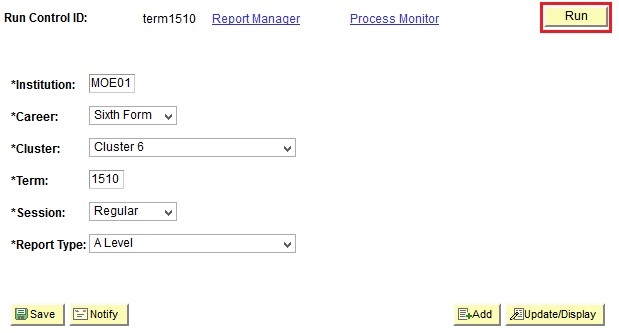 At interval times, click on theRefresh button until user sees the “Run Status: Success and Distribution Status: Posted”. 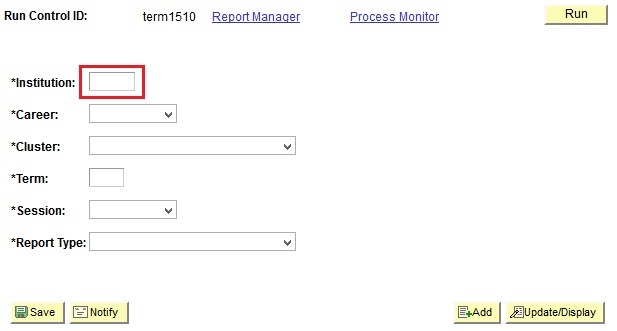 Click Go back to No. 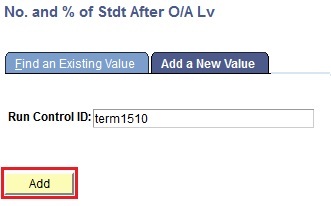 and % of Stdt After O/A Lv link. 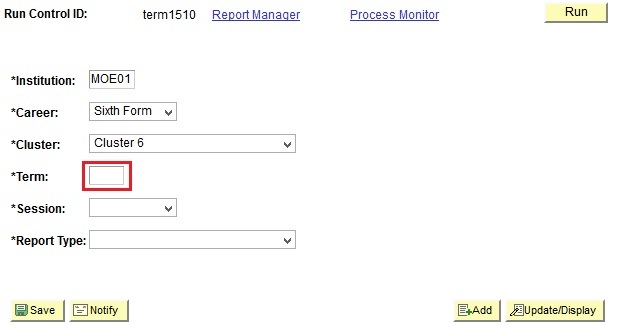 Click on Report Manager link. Click on the .xslx link with the latest Prcs Instance. 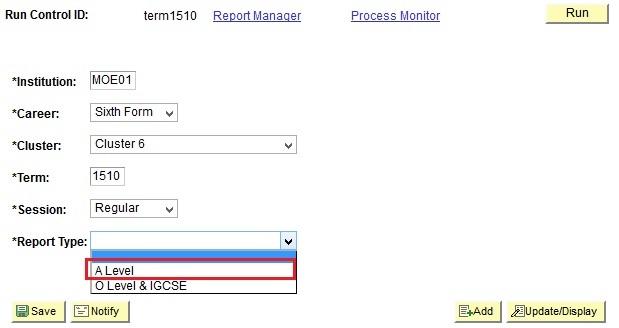 User will be directed to Report Detail page. 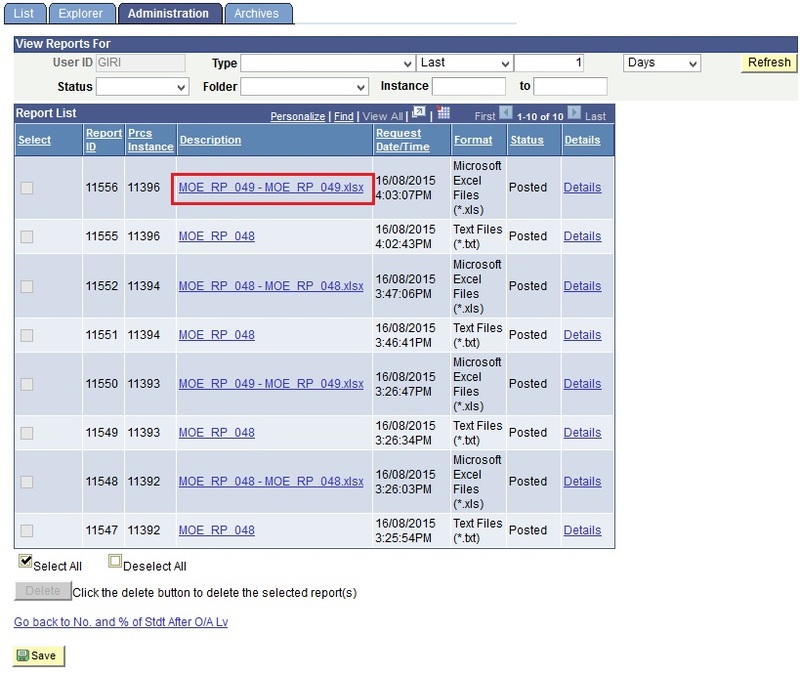 Click on the MOE_RP_049.xslx link to download the excel file.